EDITOR’S NOTE (3): We simulate the prices of 42 vehicles under the final bicameral version of the TRAIN bill. Read it here. (12/14/2017). EDITOR’S NOTE (2): The House of Representatives and Senate have agreed on a compromised version of the new vehicle excise tax which excludes pick-up trucks and EVs. See the story here (12/12/2017). EDITOR’S NOTE (1): The senate just approved a new version of TRAIN that is friendlier to luxury vehicles. See the full story here. (11/28/2017). A few days ago, several media outlets including The Philippine STAR reported that The House Committee on Ways and Means has just approved the tax reform package proposed by the Department of Finance. Included in this tax reform package is a revision to the current new vehicle excise tax which car buyers have been enjoying for the good part of a decade. Top Gear Philippines has managed to obtain a copy of the bill approved at the committee level, particularly the portion pertaining to the revised new vehicle excise tax. The approved bill (which is slated for another hearing yet again), differs from the original proposal in that it has a two-stage increase, the initial of which begins on January 1, 2018. But what does this all mean for vehicle prices? Like we did before with the original Department of Finance proposal and the one in House Bill 4774, we can compute the new Suggested Retail Price or SRP of these vehicles. The effect on SRP varies greatly depending on which bracket the vehicle finds itself in. 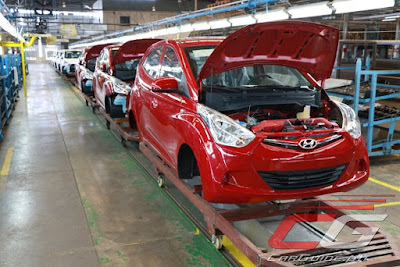 For example, the Hyundai Eon sees an increase of P 4,980 in 2018 and P 9,961 in 2019; while the Toyota Vios goes up by P 18,623 in 2018 and a whopping P 37,247 in 2019. 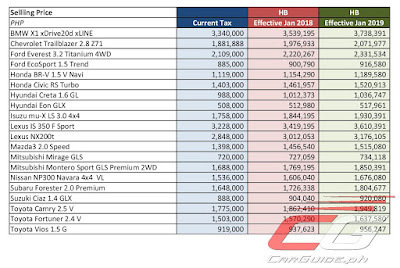 Even more shocking would be the Honda Civic RS Turbo and the Mazda3 Speed which sees an increase of P 58,957 and P 58,540 respectively in 2018 and P 117,913 and P 117,080 respectively in 2019. 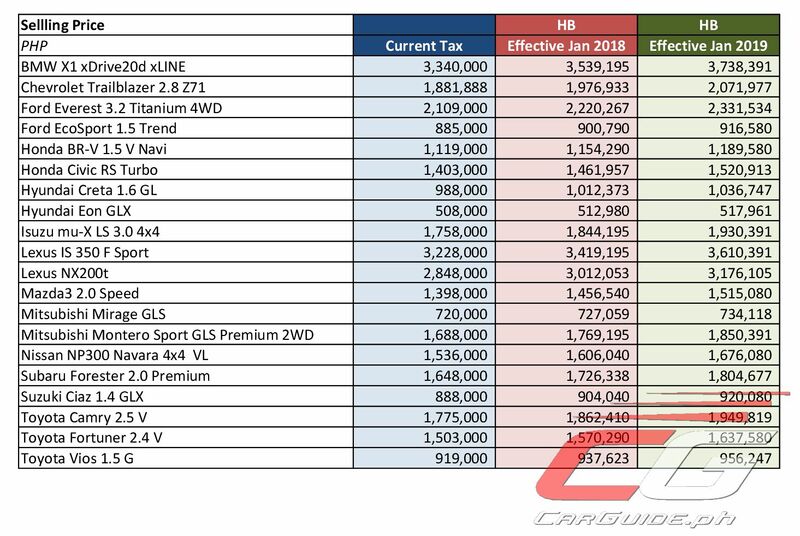 Going for more luxurious choices like the BMW X1 xDrive20d xLINE means having to shell out P 199,195 more in taxes in 2018 and P 398,391 in 2019. With the implementation of the new vehicle excise tax moving up a notch, is it a good idea to “panic buy” a brand new car? Not necessarily. For this to be enacted into law, it will still have to pass through Congress at the plenary level. Plus, the Senate can also draft a version of the tax reform package, modifying or completing changing what Congress has put forth. Likely, the Senate and Congress arm wrestling match will take the whole year, so you have at least until that time to get that brand-new car. This is BS! This will not decrease the number of vehicles on the road, this will force car buyers for example someone planning to buy an Altis will be forced to buy a Vios instead. This will decrease the quality of life of Filipinos who should've bought and experienced a better and decent car as opposed to a budget economic. The roads will be swarming with Eons and Wigos in 2020. Chances are there will still be a lot of Vioses and EcoSports sold after the price increase. I believe that it is not intended to decrease the number of vehicles on the road. It is rather more on the collecting of taxes. As much as I disagree with this bill, including the fuel excise tax, I'm a bit surprised that the increase on SRP isn't too massive. Where it would sting for the average consumer is the additional thousands of pesos on top of their monthly payments. Not to mention the fuel price hike that this bill includes. If only the government can wipeout corruption and kickbacks for a more efficient tax collection like the president promised, then they would not need to file such bill in the first place. You can't blame the president if some of his promises aren't fully realized. You can blame most part on other officials *cough*(LP Party, Supreme Court, Court of Appeals, some A-hole cops, CPP-NPA, MEDIA, Drug Lords, Drug protectors, CHR, De Lima)*cough* for disturbing the flow of change, creating chaos, not wanting to change because change and good governance won't benefit their "family" and bellies because they still want to eat 5-star food at 5-star restaurants everyday and to buy iPhones for their family. Yeah, right. Blaming LP when in fact it is Du30 who wanted to add the fuel taxes for gasoline and diesel by a whooping php5 per liter (at least). As if increasing the excise tax of automobiles isn't enough. It is fund raising time for this gov't. It is to dicourage people to buy cars or use them cause they cnt solve traffic. Change has come, and.....I don't like it. actually, our brains were designed not to accept changes. but when you realize the change is good for all not only to you, you will appreciate it. yes. i agree with you. but if the it is for the good and benefits of only few, i strongly disagree. we do not know yet the real purpose of this(maybe, maybe there is a hidden agenda for this). let's wait and see after few years of implementation of this. ^^ Do you even know the repercussions of this Tax Reform Bill as a whole to call me idiot? You need some iodine to understand. Stupid prick. Before they start talking about these taxes, I think the government should prove that public transport is comfortable, efficient, safe and reliable. Then if people are convinced then there's no need to buy a private vehicle. But I guess what they're trying to innovate is on how to milk more money from us - in this case they should prove that every single penny is spent on public welfare. On another note, we're Pinoys and we excel at workarounds and palusot, so I can't wait to read about the ways they can think of to circumvent this one. Hi Ulysses, can you pls show the net results for 2018 and 2019 for a car worth 15M? Thanks! What is your methodology for your computation? I think he computed it this way..
Should not use the srp as price basis, it should be the net selling price of vehicle, as there is existing excise tax in the current pricing regime. So congress is just changing how this is derived to make the government's tax take higher. This will not decrease cars on the road. But what this will surely do is discourage the population from buying and the investors from selling. Which means less money for the government meaning less strength to our economy. I wouldn't be surprise if this passed and then loads of dirt cheap Chinese automobile manufacturers swoop in and offer the Filipino public a more "affordable" alternative. That seems to be the mode of operation our government is into these days. Marginal. Those ubiquitous, unimpressive and annoying Fortuners, Monteros and Everests should be priced at 4 million to discourage people from buying. Go drive a Swift, comrade! Excise Tax Law is the replacement of taxes that duterte took out from workers as what he promised, so don't blame it to trillanes, LPs and Marcoses. Put the blame to Duterte administration. Mother fuckers! Can't collect from the big guys thats why they'll take it on the little ones. More to collect...more to steal. 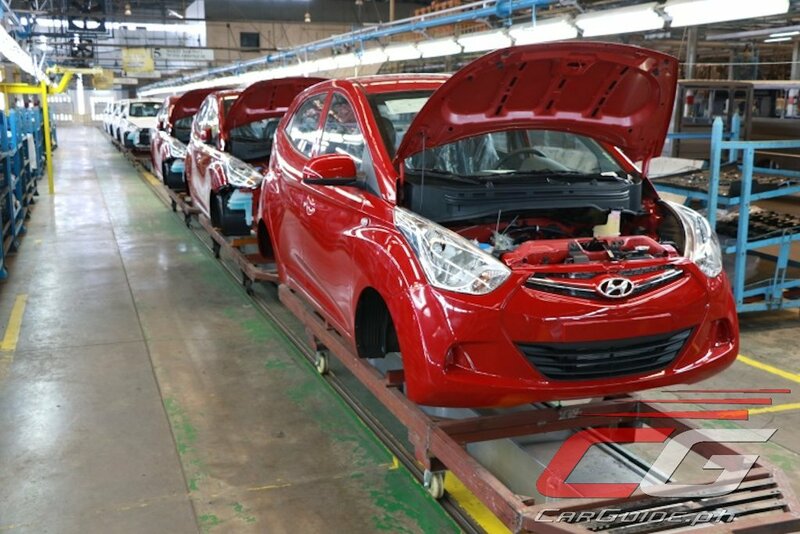 Change in tax of new cars? Change in price of prime commodities? Change in price of gasoline? Change in justice system (EJK)? Nasan na ung positive change? wala ba? I really dont feel safe as before. And I really don't feel na nagbago ang pilipinas, except the one fact na we are still a poor citizen living in a poor country na kung saan ung sahod bago tumaas kelangan tumaas muna lahat ng pinagkaka gastusan mo. Think everyone. Change is coming! is it final? that it will be implemented next year...and not this year...OMG..
sorry not updated in news.. It's not final unless it's signed into law. There's a more updated version though. thanks for the info,, ahm.. any comments about websites or resources where I can find news and updates regarding excise tax bill for cars? where can we get the final news about this Excise TAX??? When is the effectivity date of excise bill? so if I buy some new cars now, then when the new law comes into effect, the cars I purchased will sell for more because of the tax and I will make a profit then? Sure na po ba na jan. 1, 2018 effective na ang excise tax ? ?